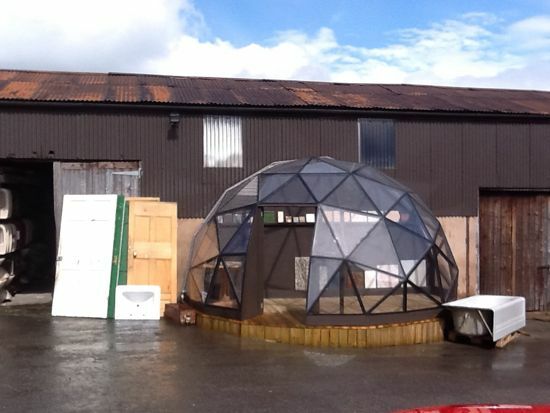 I was asked to design and build a dome as a showroom/multipurpose space for a local Salvage yard in cumbria they didn''t have space fro a full dome but could asked me if I could make a dome that would fit against a wall. I used a version of the GD27 dome design as it can be divided vertically and also has a flat base. 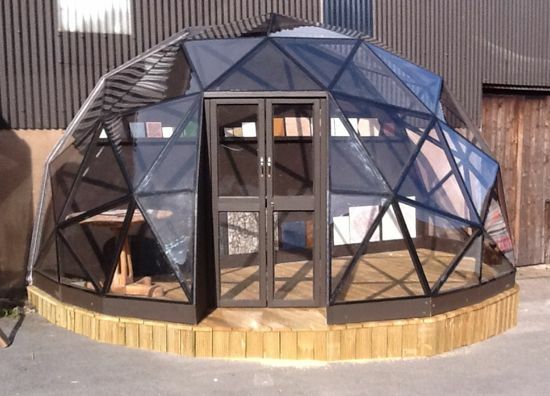 It was pre-covered in the workshop with 2mm clear polycarbonate and had a brown painted timber frame. Below is a time-lapse video showing the build, it was up and finished in a few hours despite the showers.